Scientists discover clues into lizard evolution frozen in ancient amber. <<Some 99 million years ago, 12 unsuspecting lizards stepped or fell into sticky tree resin and couldn't tear themselves loose in the forests of what is now Myanmar. Over time that resin fossilized into amber, preserving the little lizards for scientists to study later. There was a diverse population of lizards living in the region at the time, the scientists report in a new paper published Friday in the journal Science Advances. "The assemblage is cool because it has some examples which are really, really modern and then others which are really, really old, and then others in between," study co-author Edward Stanley, a herpetology researcher at the Florida Museum of Natural History, tells The Christian Science Monitor. "In the amber we have things that are clearly gecko," says Dr. Stanley. The gecko-like prehistoric specimens have toe pads. Modern geckos use their toe pads to scale walls and perform other sticky-footed feats, but these prehistoric toe pads appear somewhat different. Other amber-preserved lizard specimens had been found with toe pads more similar to those on living geckos, which suggests that "even 100 million years ago geckos apparently already had evolved a well-diversified subset of tools for clinging onto surfaces," Stanley says. While gazing at the Milky Way in Cygnus Friday night our backyard was visited by some owlish aliens. 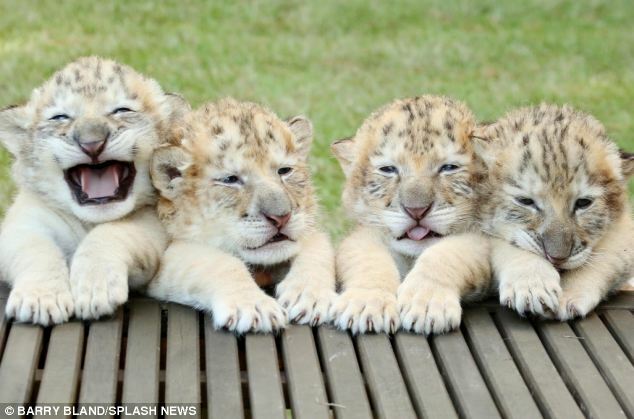 Meet Yeti, Odlin, Samson and Apollo! Hey there folks, it's been a while. I thought I'd jump back in by sharing something I saw a last weekend while on a trip to the Oregon Coast (this seems like an appropriate thread). We walked down to see the "cobble stone" beach at Yaquina Head. There were seals poking their heads out of the water just off the shore. Then someone near by enthusiastically indicated the presence of whales. I assumed she meant greys off in the distance; they're common enough in the fall and spring. But then she raised her voice a bit and said, "no, look, just outside the rocks. They've trapped the seals!" It still didn't quite sink in. Then I saw the dorsal fin and realized it was a group of orcas that had pinned the seals between a row of rocks and the shore. I've visited the coast countless times since I was a kid but I've never experienced anything quite like this. The orcas patrolled back and forth, the seals stayed put - it was a stalemate. I imagine the orcas decided the water was too shallow near the shore or the entrance between the rocks too confining. Either way, they never entered. The little juncos might like to call this fellow something other than a flicker. Oh no! Baby ducks in the pool. Luckily a way out is found. This summer I've been working in and around Island Park, Idaho. Animals that I've enjoyed seeing on my travels include rock badger, moose, mule deer, pronghorn antelope, elk, american martin, and numerous squirrel sp., but today's sighting was the best thus far; a black bear cub. One of the best things about being in the wilds, no? We've run across all those this summer, as well, except moose and rock badger (hyrax?). But we do see American badgers. Saw some kind of weasel last week riding in the forest a little below treeline- maybe a marten, maybe an ermine. And riding well above treeline at 12,500 feet, pikas and marmots in the rock piles. A few weeks ago we were riding and startled a cougar out of some brush. This year we again have foxes breeding in one of our pastures, including this remarkable female red fox, in a black form (called black foxes or silver foxes, although they're still in the red fox species). This one's mate is the normal red color, but their kits are a curious dusky shade). Yes, it makes my commutes much more enjoyable than when I used to live in or near cities. I need to make a correction, it wasn't a "rock badger" (possibly no such critter), it was what Idahoans call a 'rock chuck', more commonly known as the yellow-bellied marmot. This is likely the same species of marmot as you see Chris, since their range extends down into New Mexico. While up on our deck just now I had a little visitor. Content to rest after feeding on our neighbor's butterfly bush. A hummingbird, my goodness me! We sure don't have hummingbirds in Sweden, although we do have butterfly bushes. Not just in Sweden Ann. You likely knew this, but hummingbirds are only found in the Americas. Fred, we don't have Ruby throated Hummingbirds here in Idaho, or in general west of the Rockies. I think what you have there is photos of female Broad-tailed Hummingbirds. Their males also have red throats, so the error is very easy to make. Also Fred, that resting female is likely looking over that spiderweb for baby spiders, maybe to feed to her babies. They also use spiderweb as a nest building material.